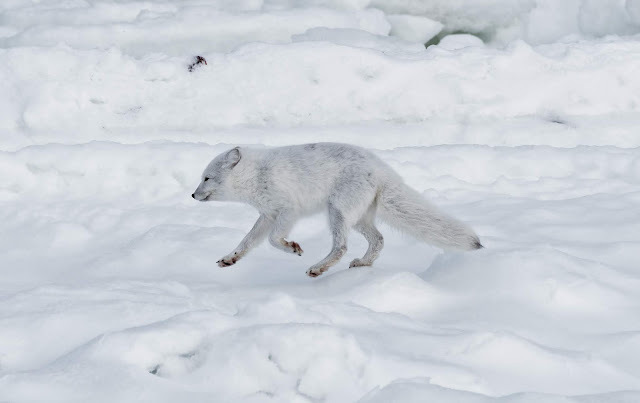 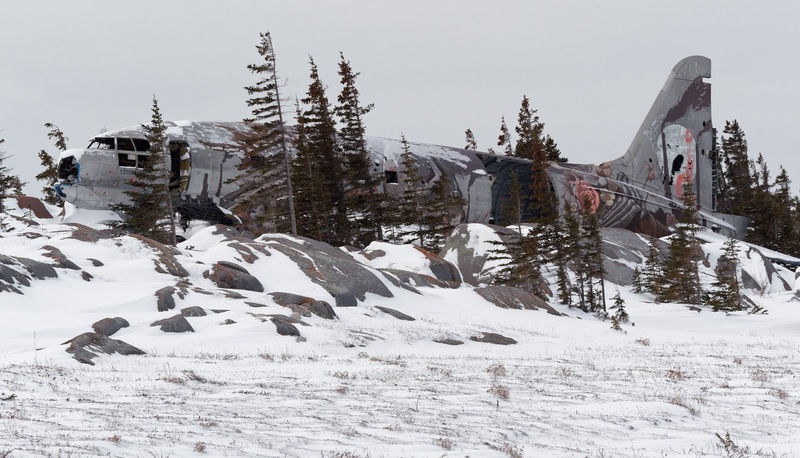 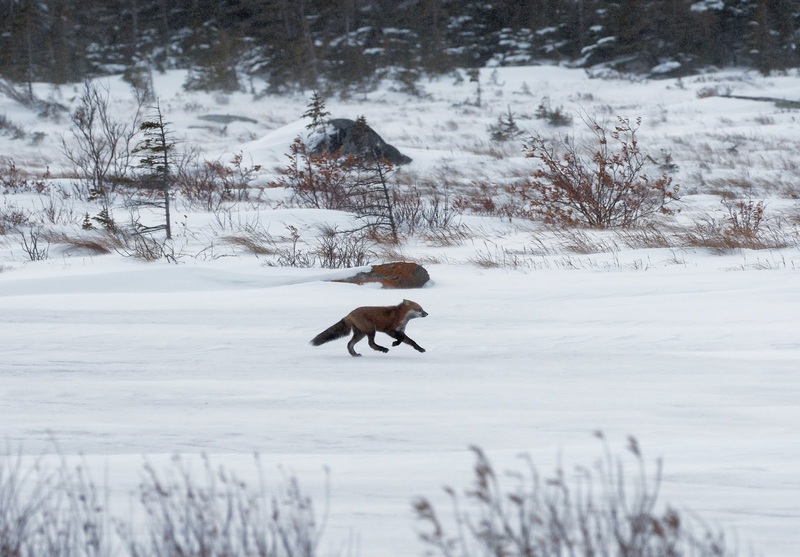 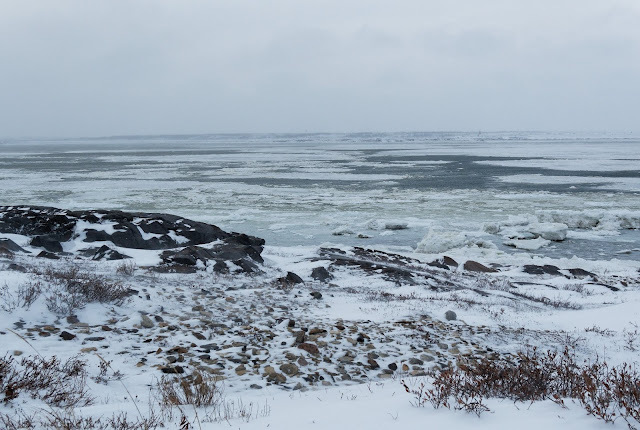 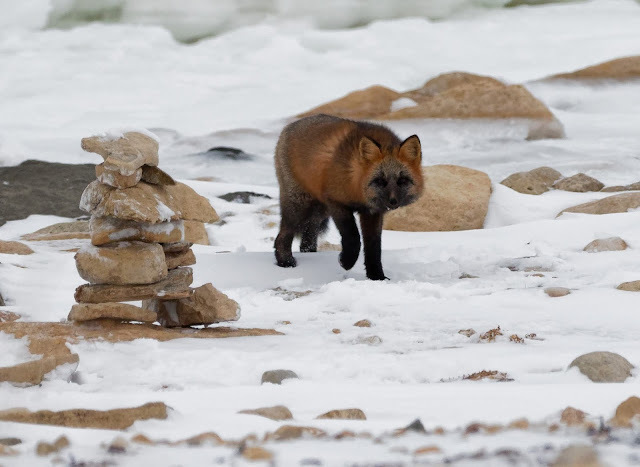 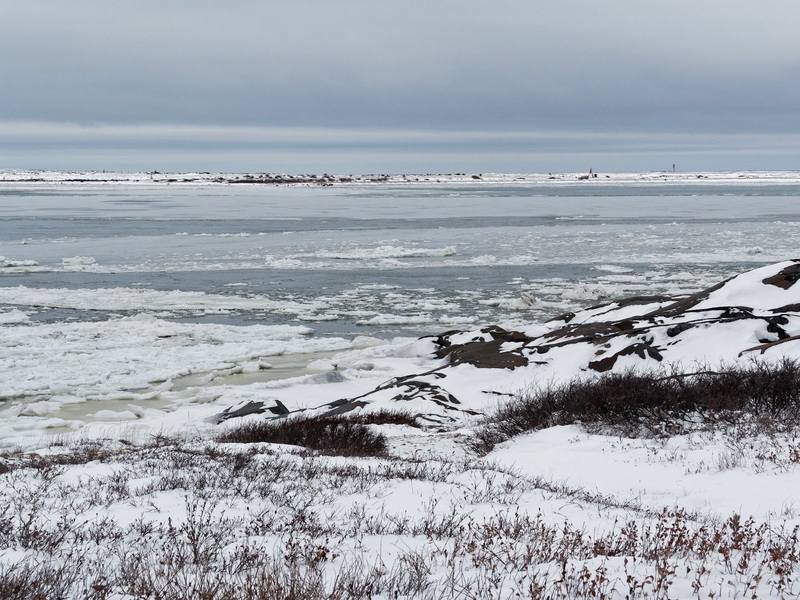 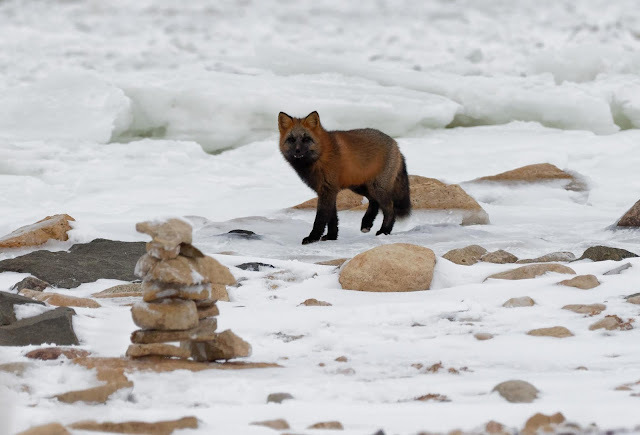 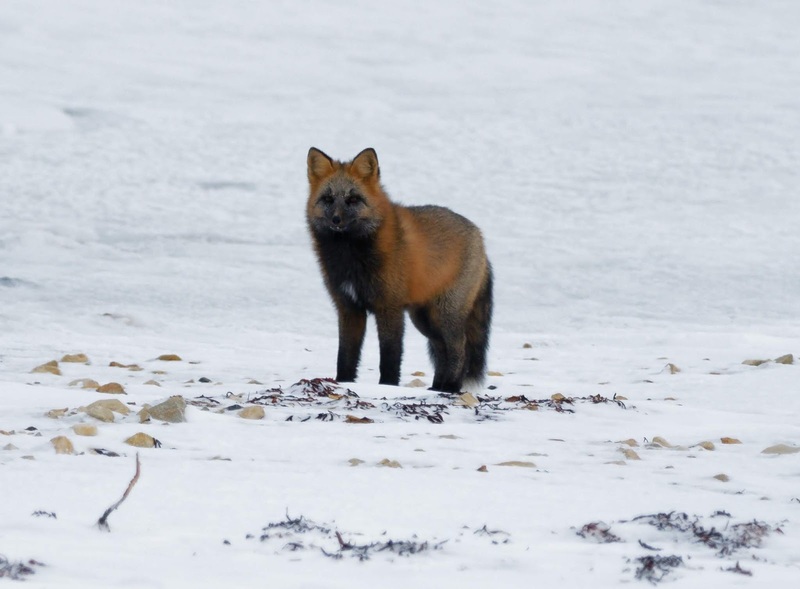 My final three days in Churchill saw few wildlife sightings, with the exception of a few foxes. 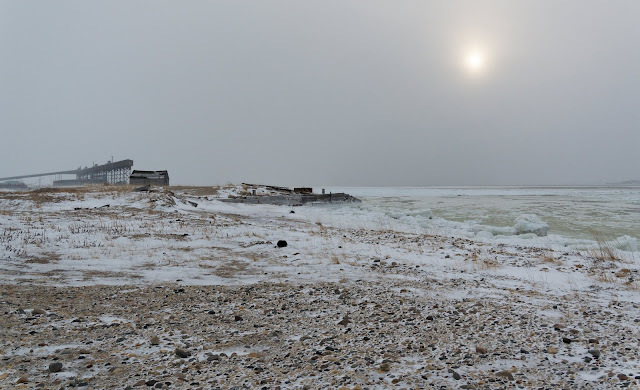 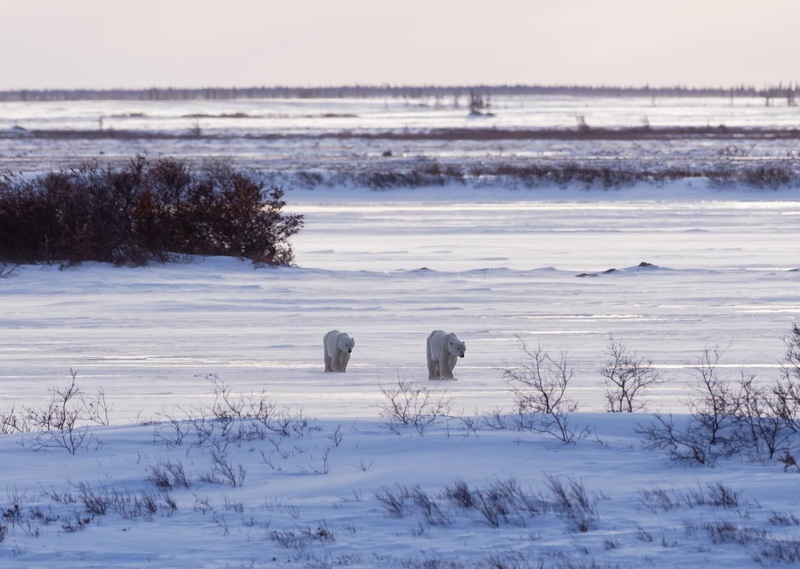 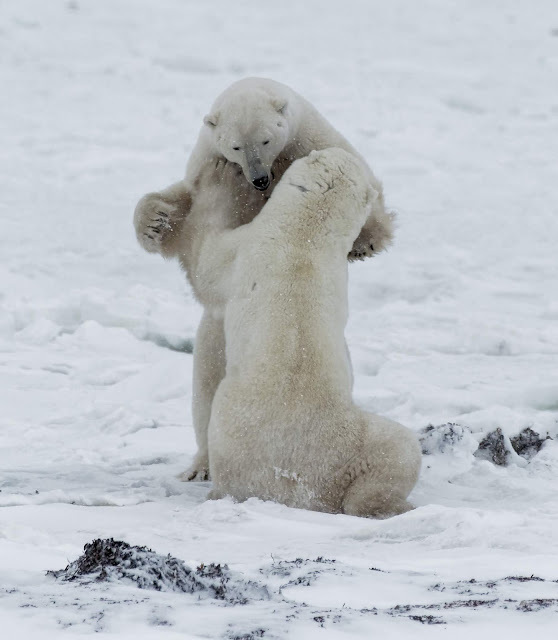 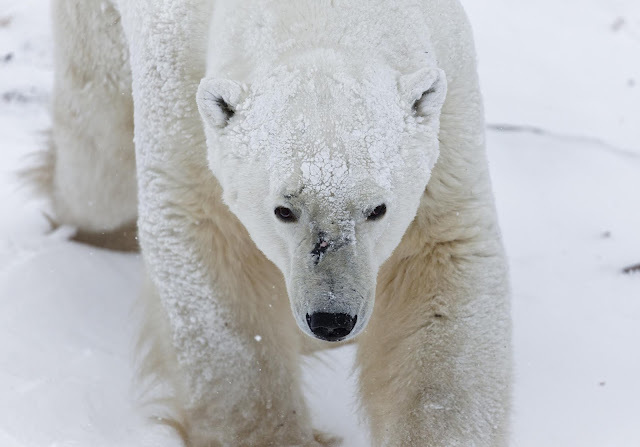 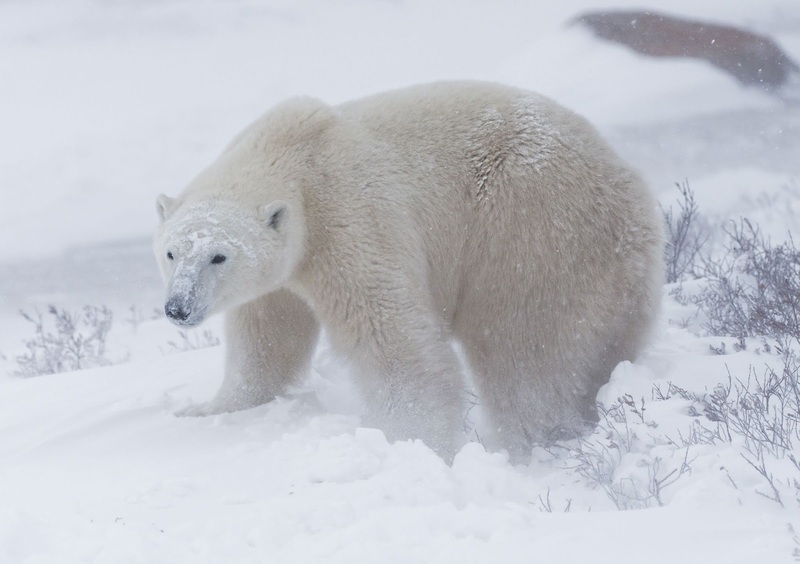 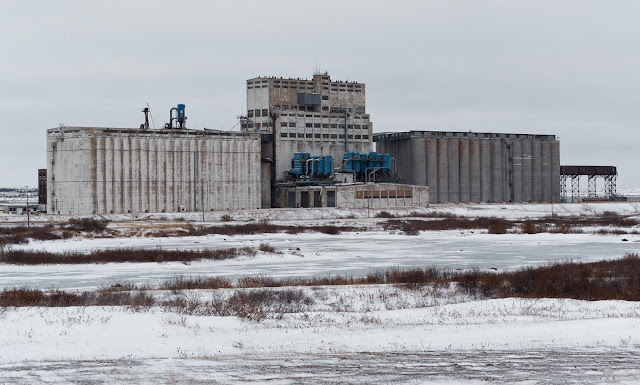 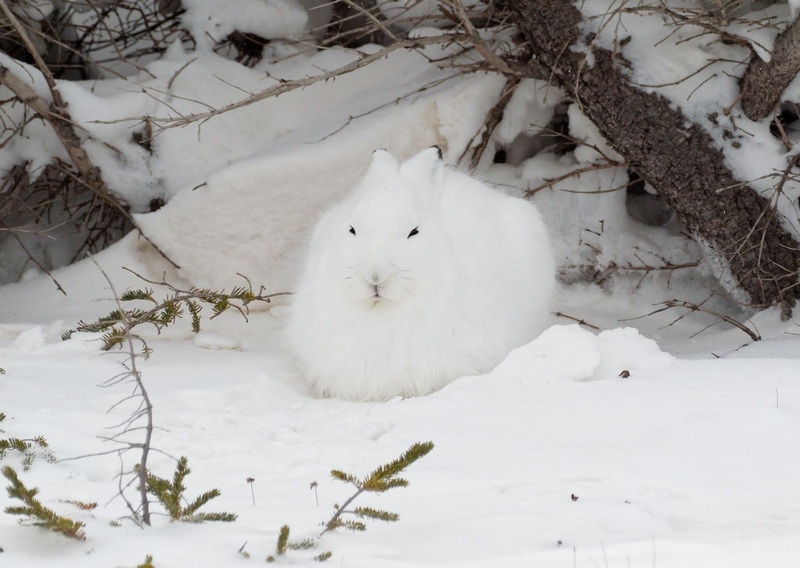 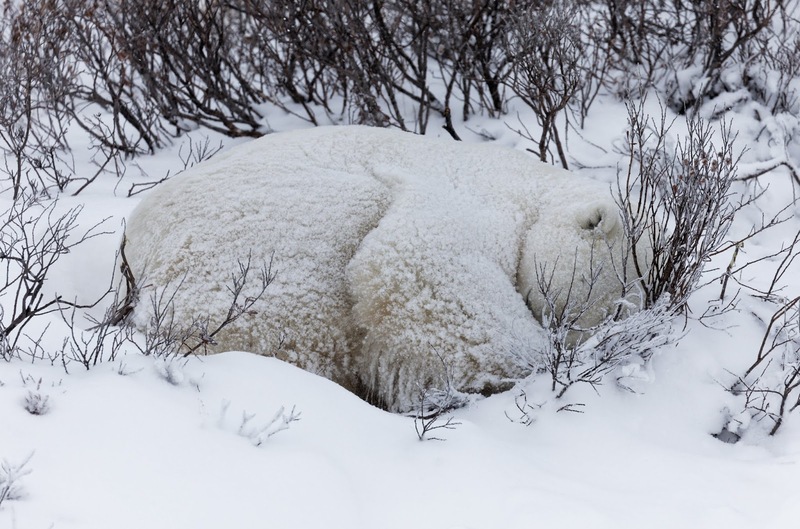 Their absence was a source of happiness, not disappointment though: Hudson Bay had started to freeze sufficiently for polar bears to begin their migration offshore to hunt. 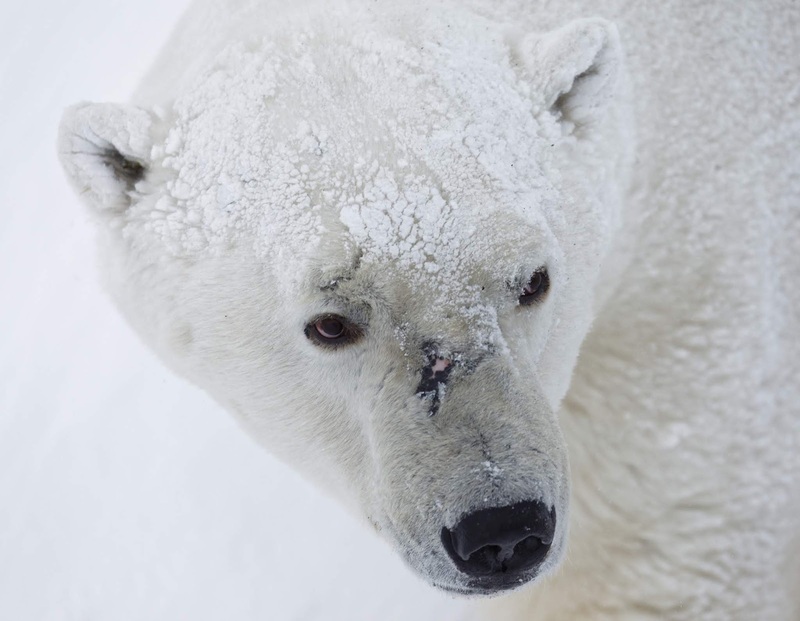 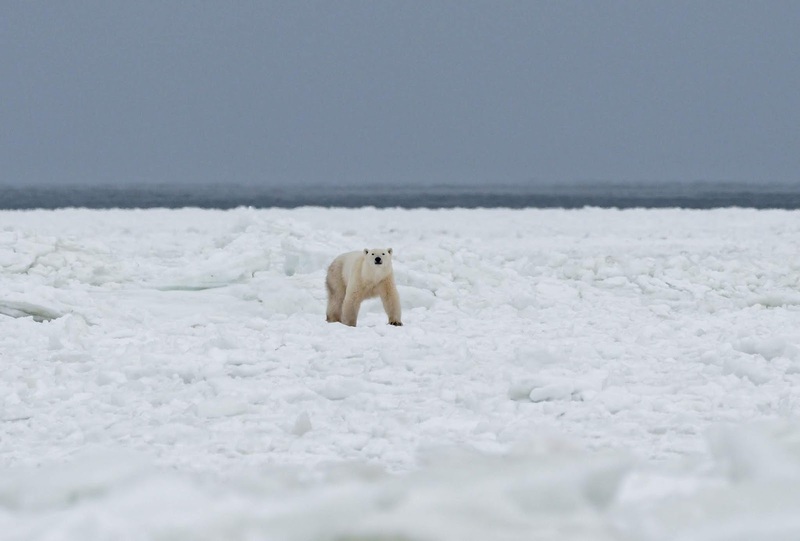 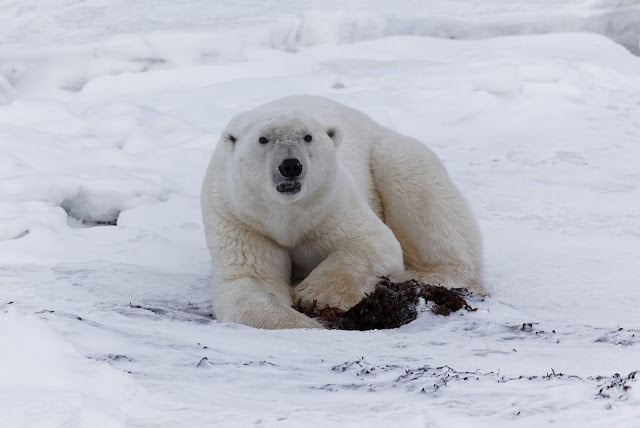 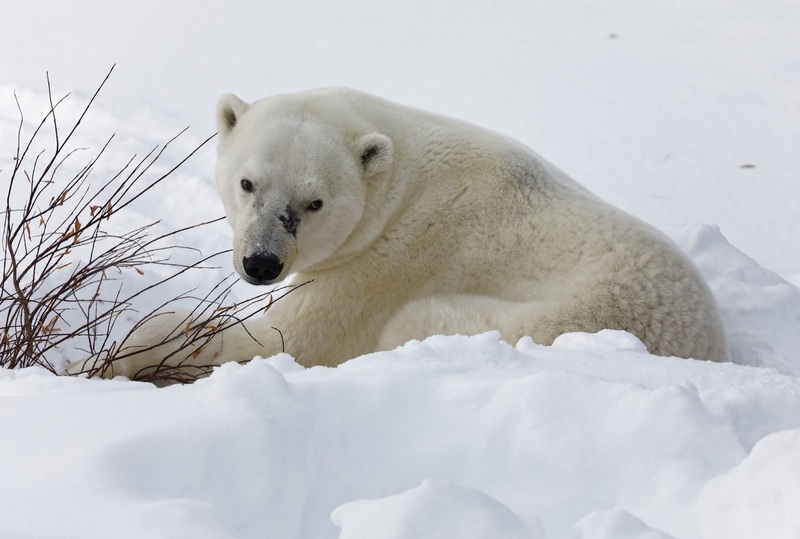 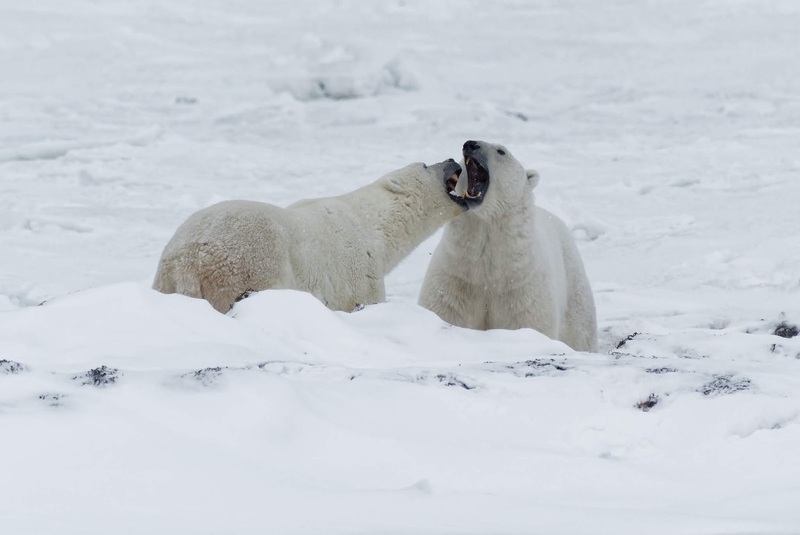 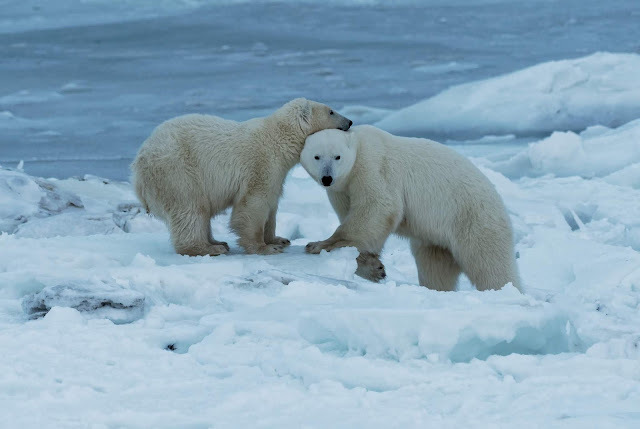 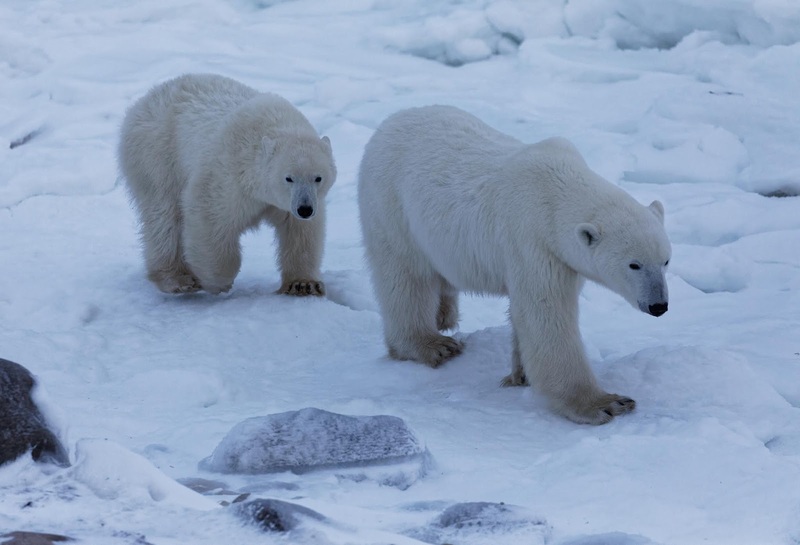 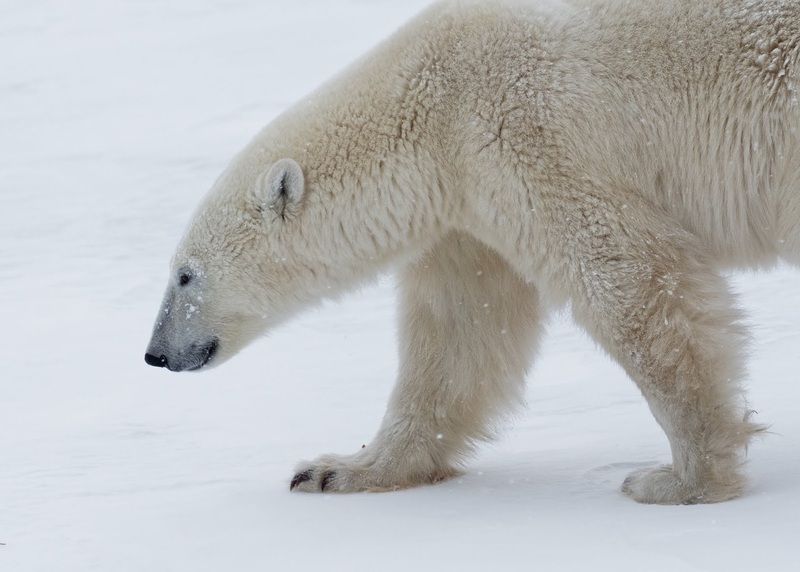 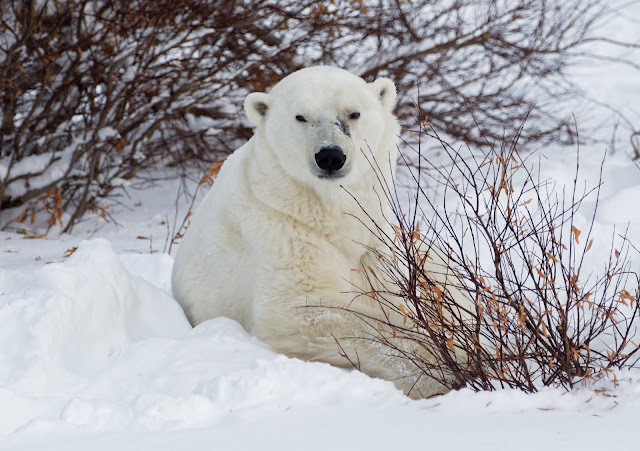 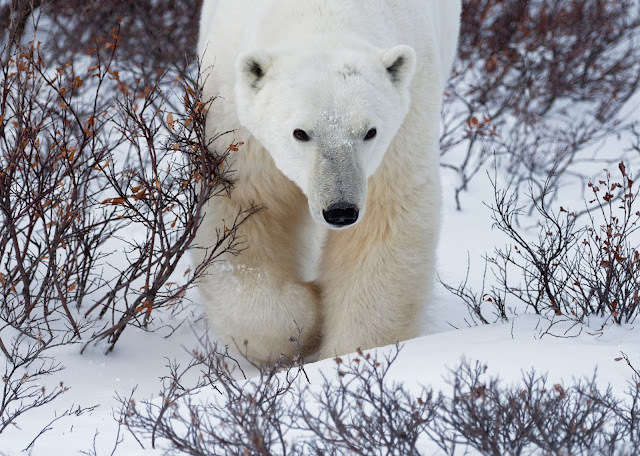 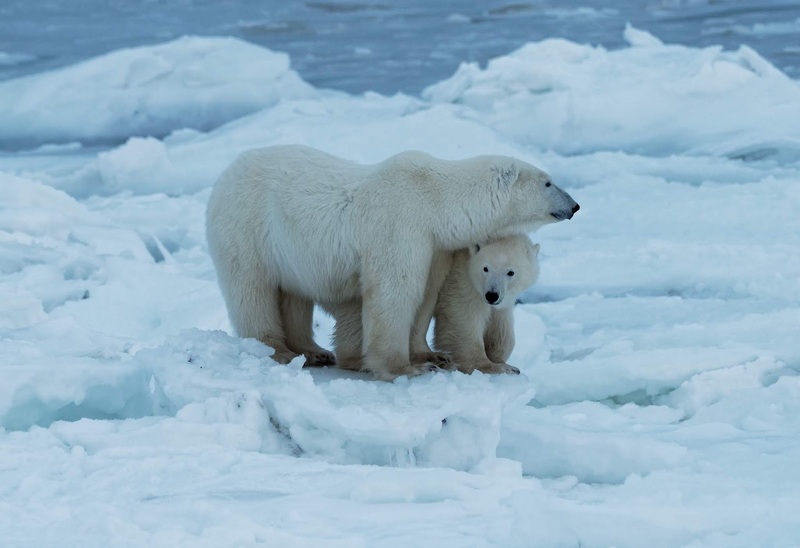 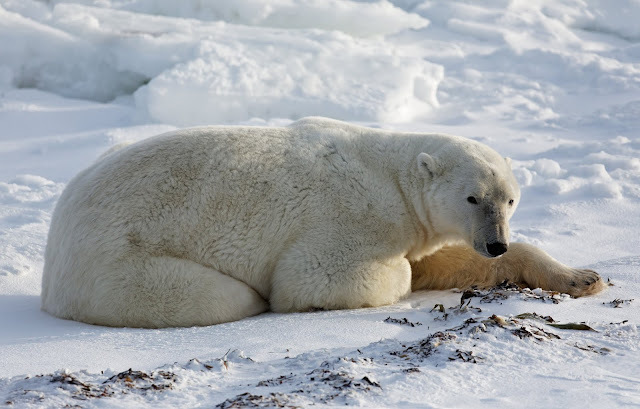 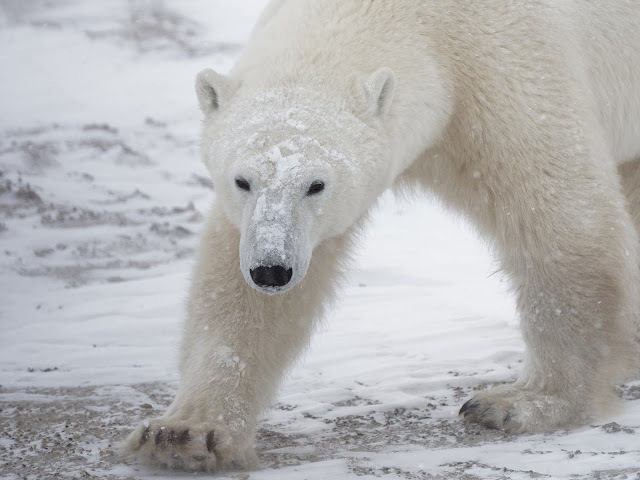 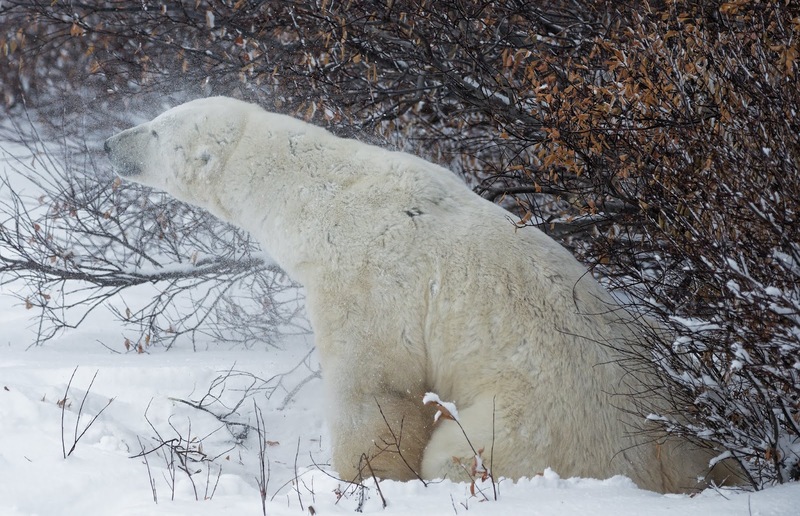 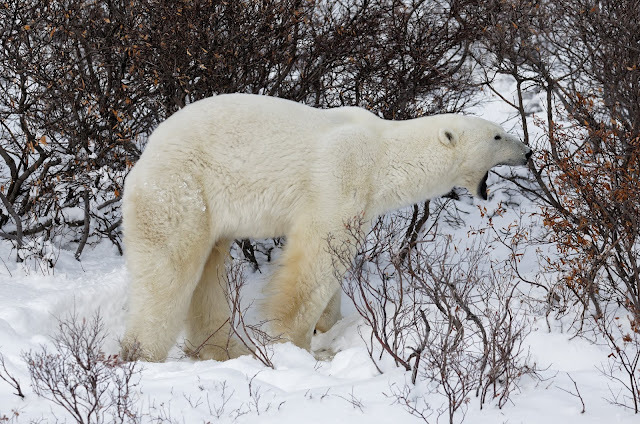 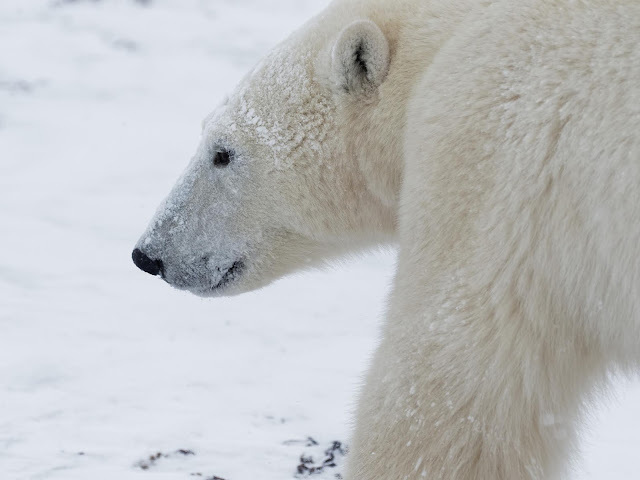 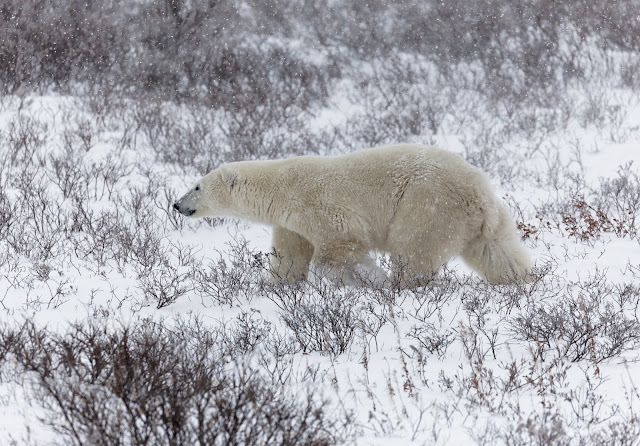 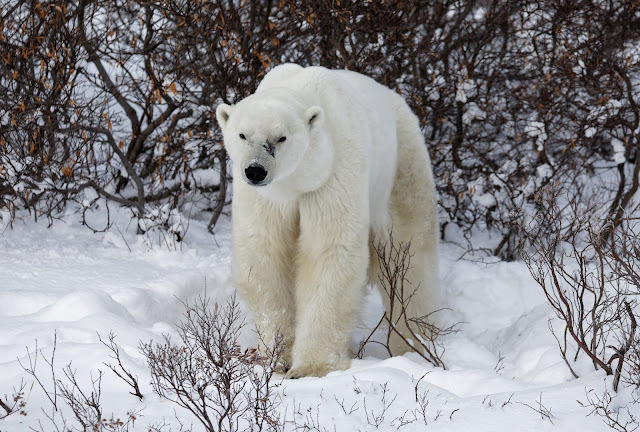 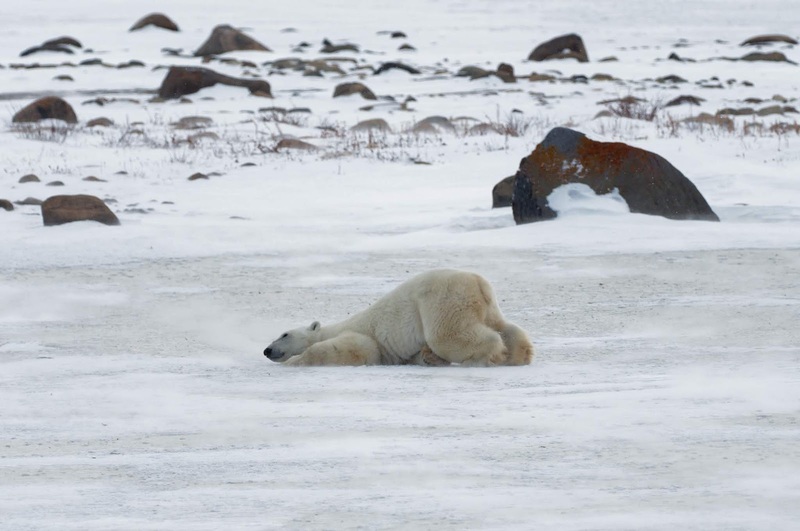 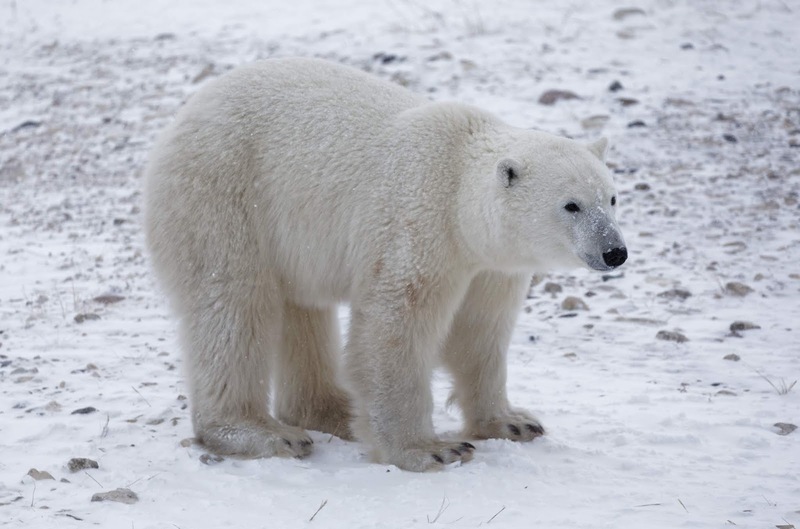 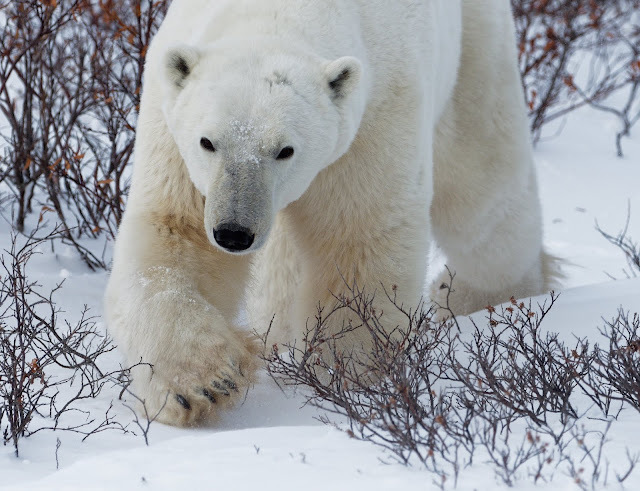 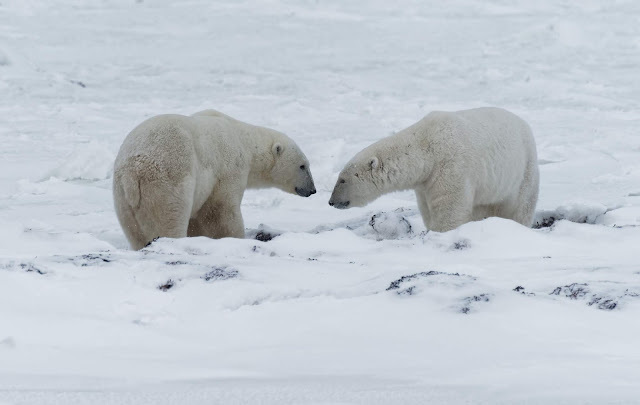 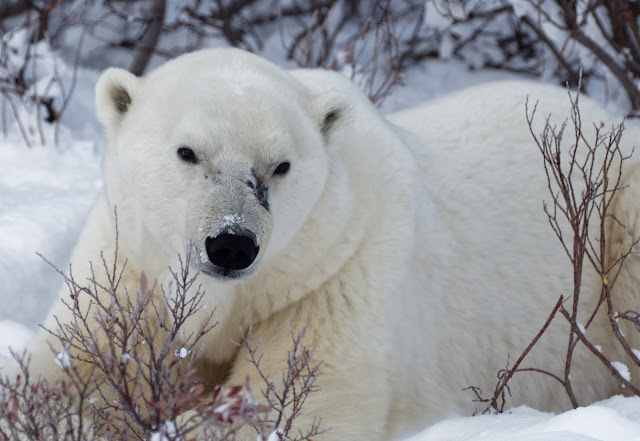 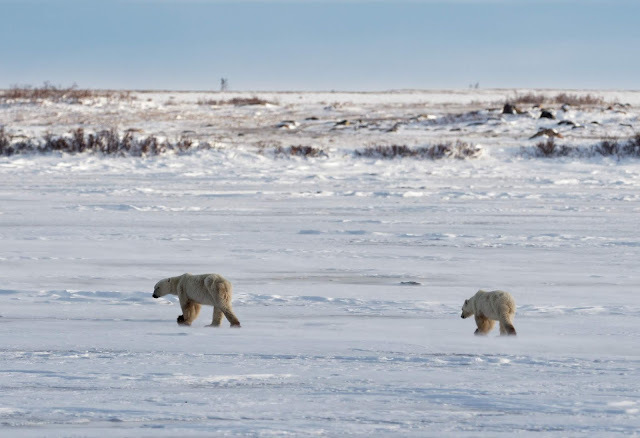 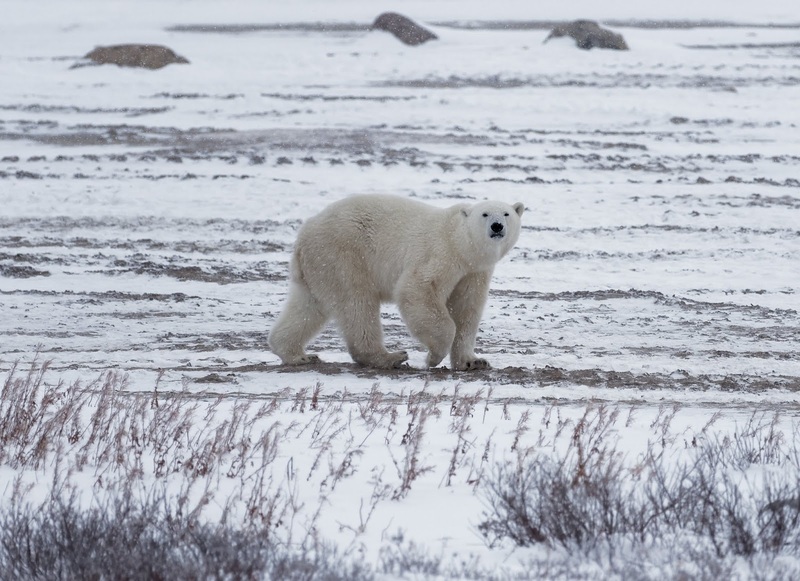 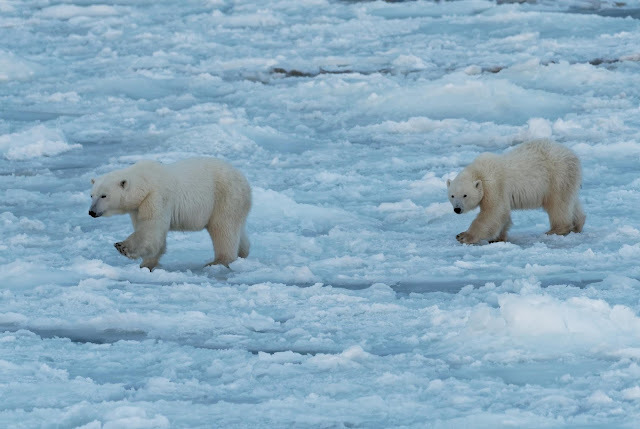 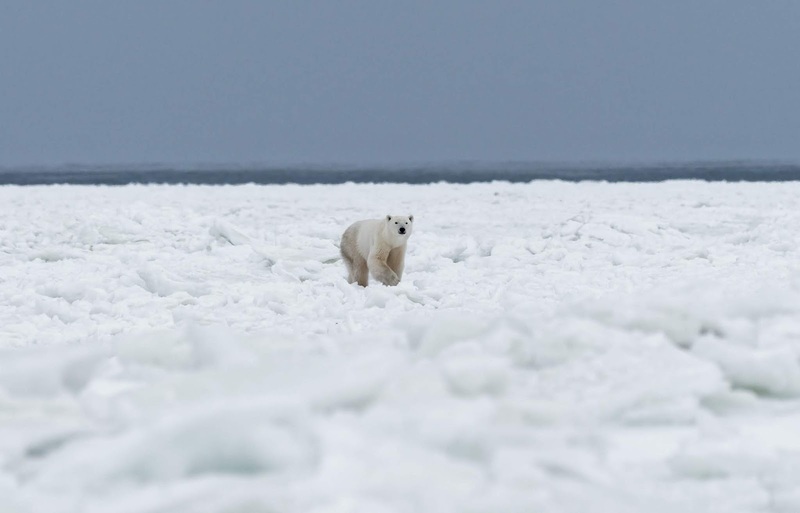 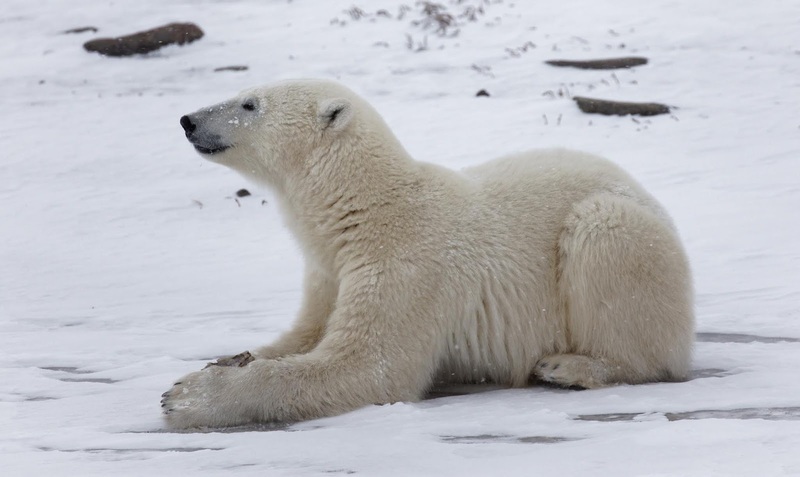 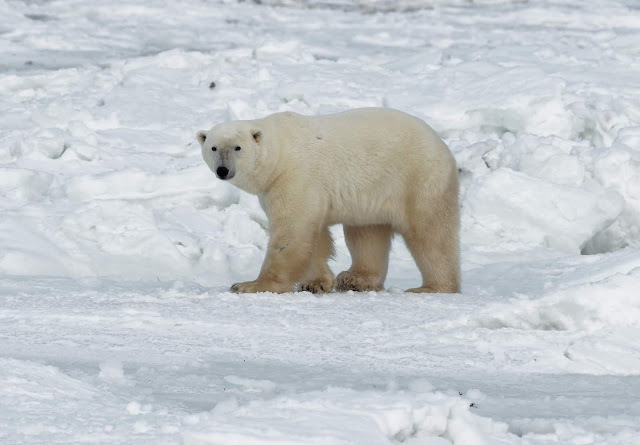 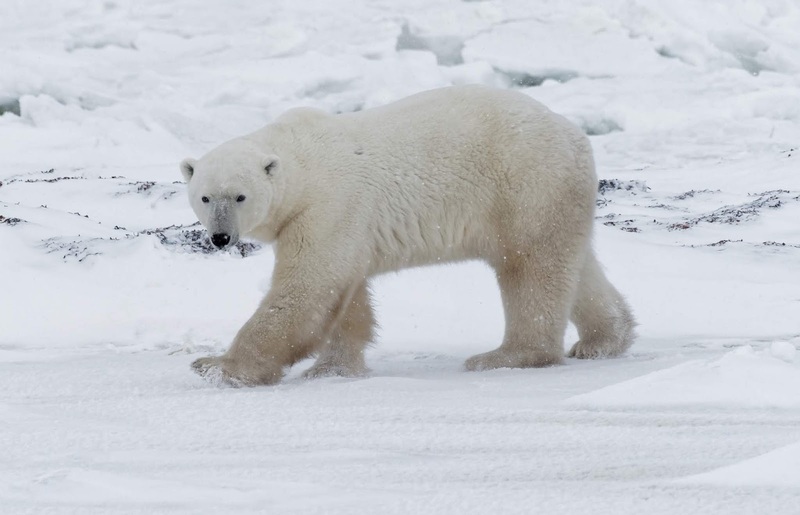 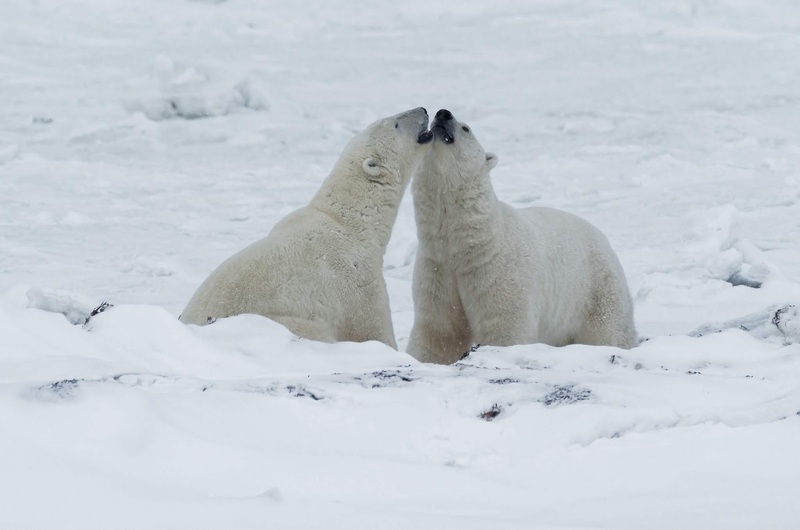 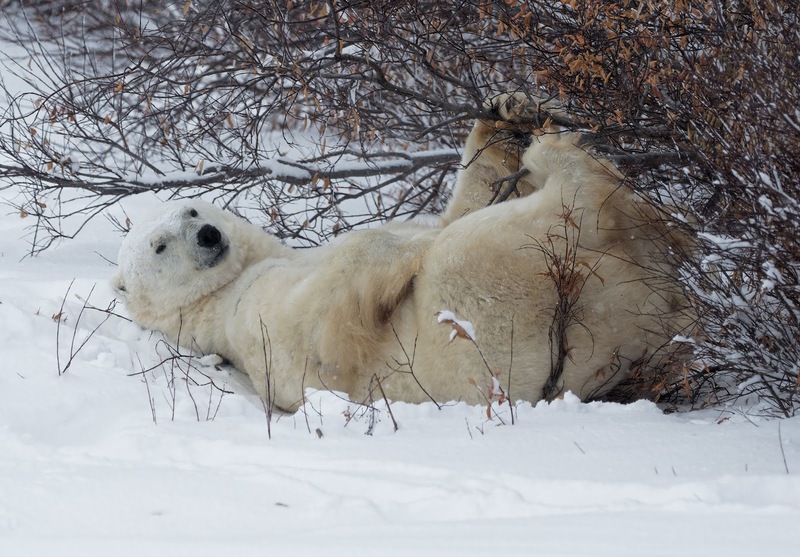 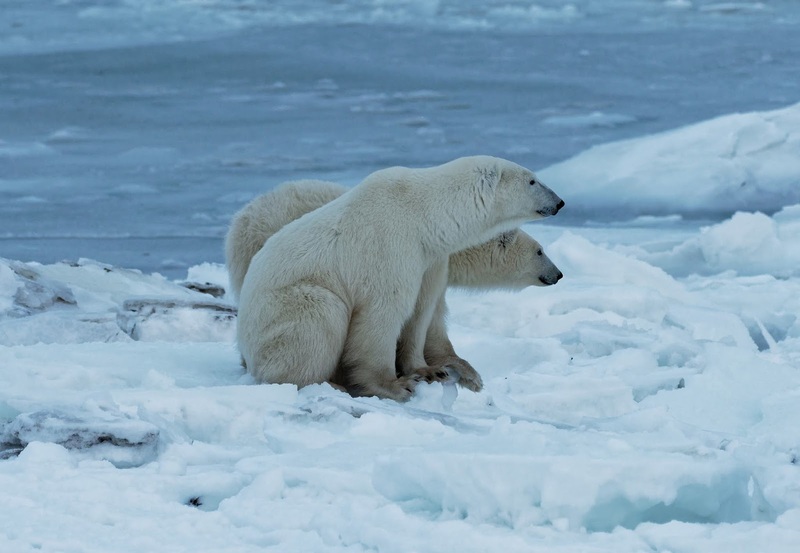 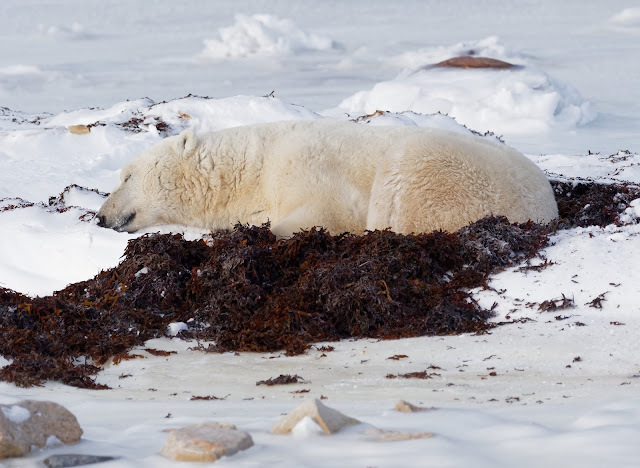 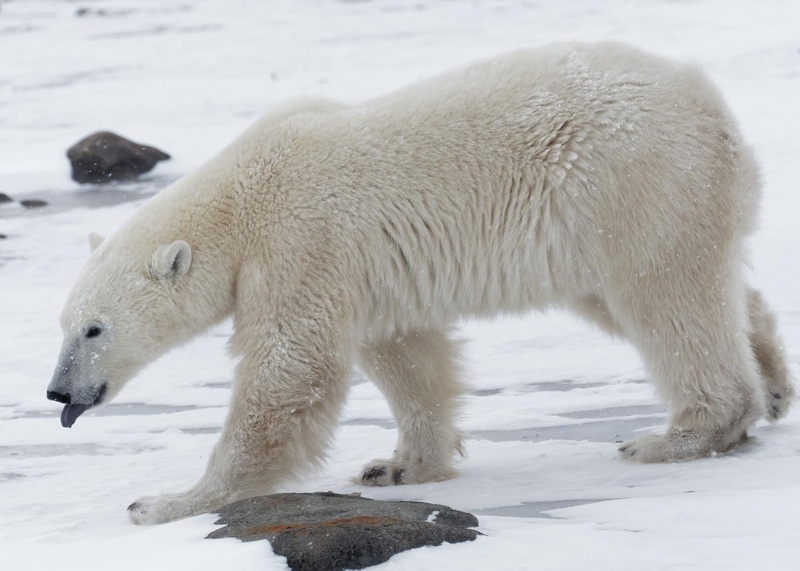 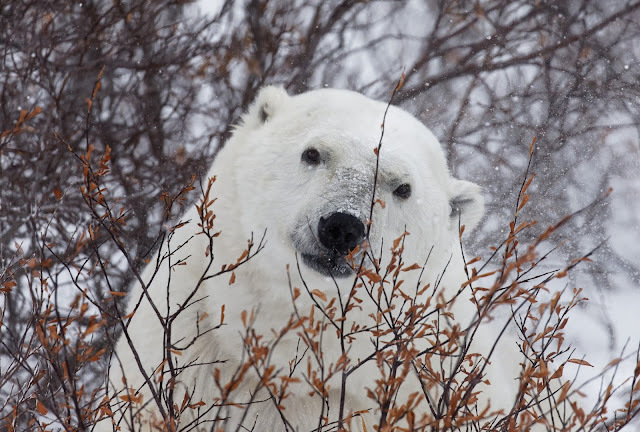 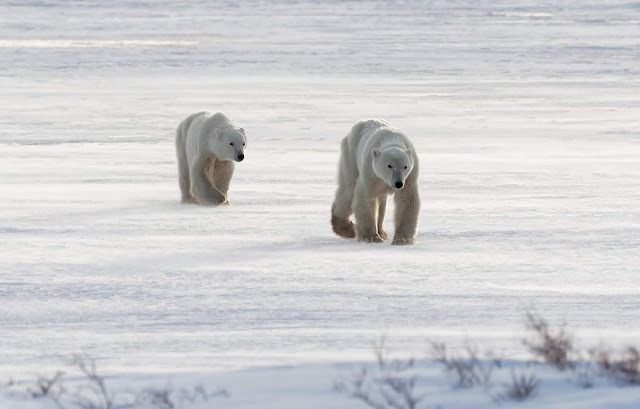 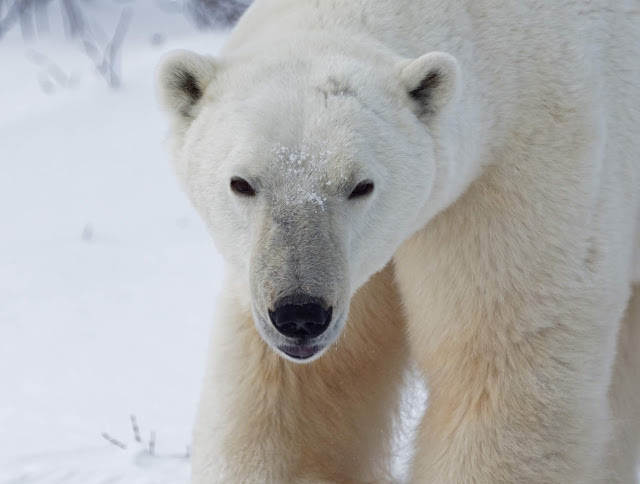 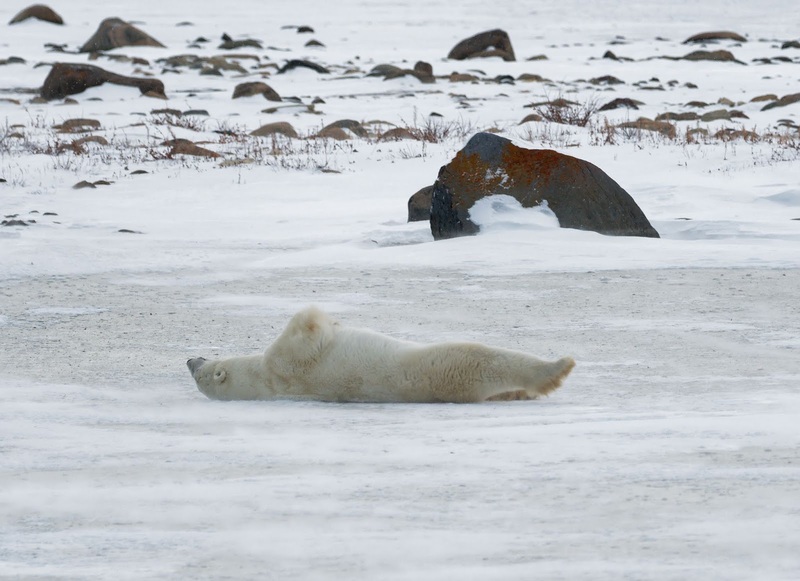 This is positive news for this population of polar bears; climate change means that others such as the ones around Svaldbald and the Beaufort Sea in Alaska have been less fortunate this year. 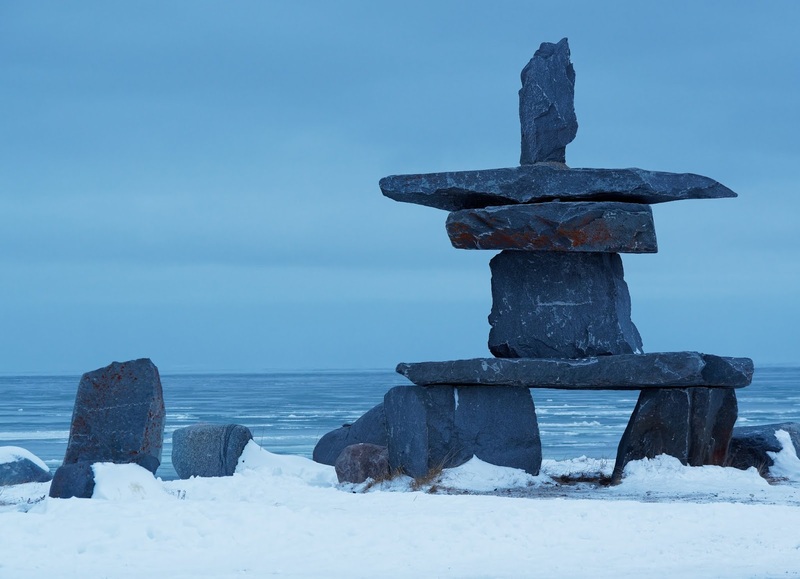 The latter's population has fallen by 40 percent in the past 10 years; around Churchill a study showed that in the five years between 2011 and 2016, the population dropped by a fifth. 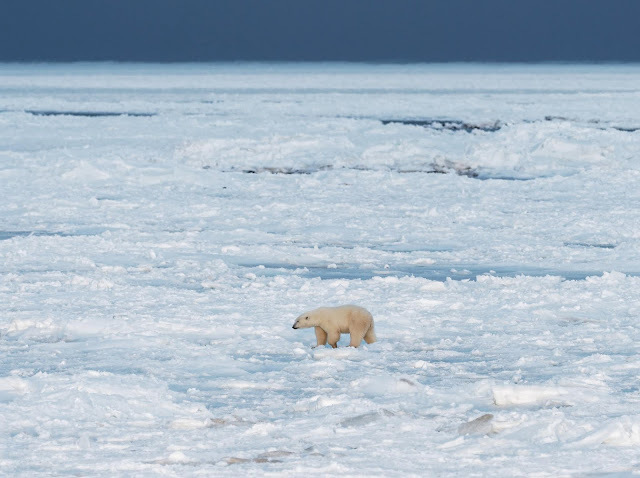 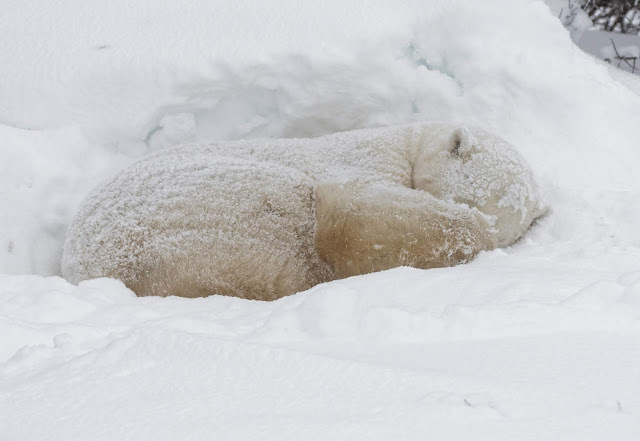 It's possible that in 20 years time there will be no polar bears left in this area at all, due to habitat loss. This realisation always makes my encounters with polar bears each year poignant and emotional. I generally explore the road and trail system around Churchill in my own rented vehicle, but the pictures on this page and the next one for November 8th were taken on a Tundra Buggy day tour run by Frontiers North. In my experience, this company is the most reliable and responsible of the operators who operate large off road vehicle tours, though this year, unusually, one of the two tours I went left quite a bit to be desired, to the extent that I complained to the company. 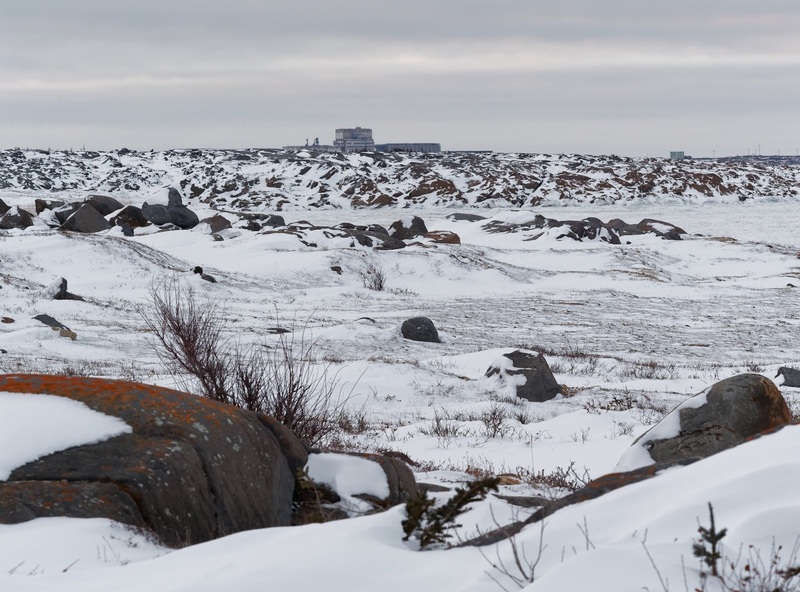 Some are uncomfortable in general with such relatively large scale tourism, though I feel that the permit system at least restricts the impact of tourism, and ensures safety. 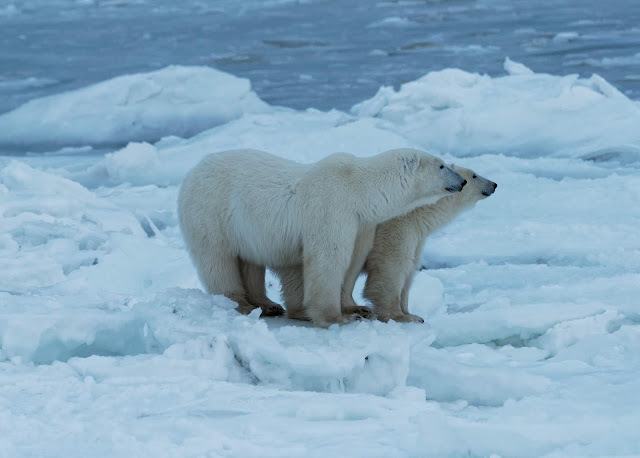 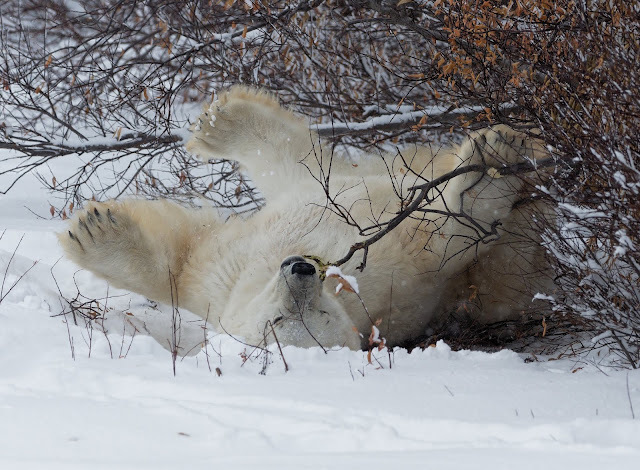 I certainly don't recommend that you explore independently as I do unless you're experienced with this area and with the behaviour of polar bears.